Sitting at a desk is uncomfortable enough, don't let your monitor make it worse. Raise your screen up to eye level while gaining back desk space under the riser. Hide yo' kids, hide yo' wife... er, scissors. Or snacks. Or whatever. 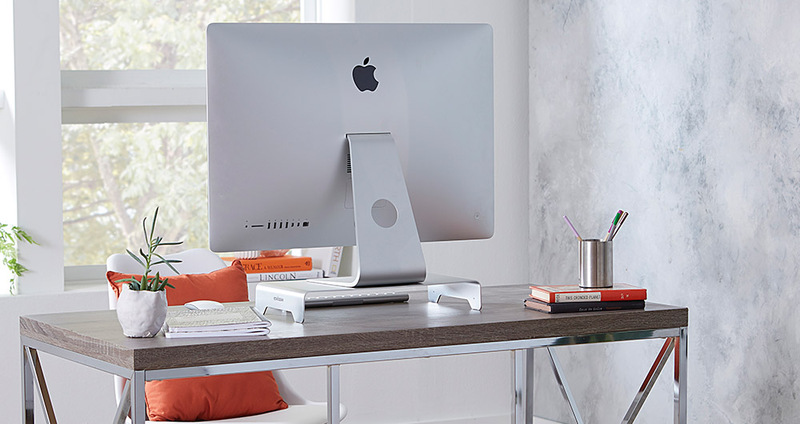 Space beneath stand is perfect for stashing your laptop, keyboard, console and other desktop items. Lightweight, bent aluminum design is damage-resistant and strong without being physically heavy. Silicone padded feet increase stability and prevent desk scratches and damage. Click the button below to add the Aluminum Monitor Riser to your wish list.